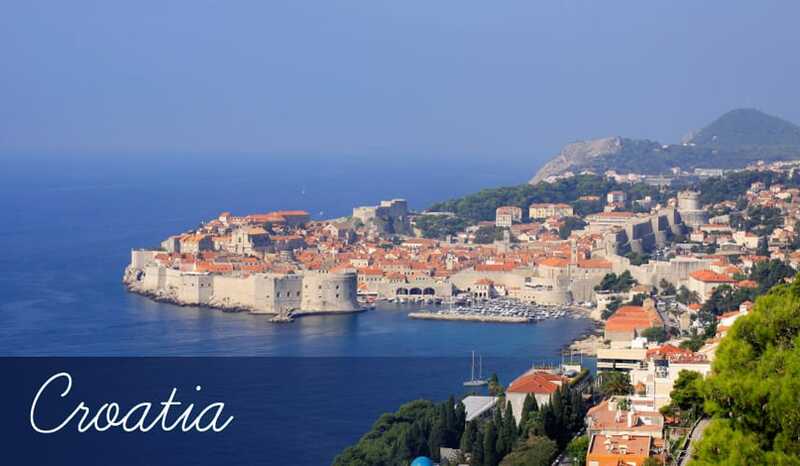 On the eastern side of the Adriatic Sea close to the shores of Italy is Croatia, a country filled with history reflected in the many great cities that can be found here. Among these is the popular city of Dubrovnik, which has become one of the most recognised places in the country thanks to the huge city walls and fine architecture with the orange coloured roofs. Check out the old part of town where you will find the most impressive buildings and the best shops and restaurants. There are a number of museums to visit, as well as some beautiful churches. If you fancy getting onto the water, book a boat trip and visit one of the nearby islands. The coastal city of Zadar is ideal if you want a city break whilst having easy access to the coast including beaches! The nearby islands also provide a number of beaches for you to enjoy, so feel free to take boat trip during your stay. Visit the archaeological museum, check out the Roman Forum and explore the National Parks. Zagreb is another fine city to visit and since it’s the capital of Croatia, it’s the ultimate place for a city break. Although the city is located further inland, you will still be able to travel to the coast fairly quickly giving you access to some great beaches. There are plenty of walking trails around the city close to the mountains and even fortress on the mountainside, which is a must see! There is a large zoo here with many beautiful animals, a cinema where you can catch a movie and plenty of activities including go karting and skydiving! Towards the southern end of Croatia is the city of Split, the second largest city in the country. It has some awe inspiring historical sites including the Diocletian Palace, which is a huge Roman palace that has been declared a UNESCO World Heritage Site. The Temple of Jupiter is another amazing piece of Roman Architecture, which is in unbelievably good condition. The city is also home to some irresistibly sandy beaches, which you won’t mind spending your days on. If you feel the itch to get active then try diving or snorkelling or head to the Cetina River where you can try white water rafting! The cities offer a fantastic nightlife, with many clubs and bars to choose from. Take advantage of the relatively cheap drinks and chill out with a few beers or party until you can’t party anymore. Zadar, Zagreb, Dubrovnik and Split all offer an excellent selection of lively venues and although Cavtat is the place for more chilled holidays, it still has an active nightlife with some great bars. Cavtat is also home to some fascinating attractions including the Racic Family Mausoleum. Its coastal location gives you the opportunity to enjoy a boat trip out onto the waters of the Adriatic. If you would prefer to head in land, explore the many walking trails that set out into the beautiful countryside. Discover what you can get up to in these fine resorts by reading each guide below and decide which one to visit first!